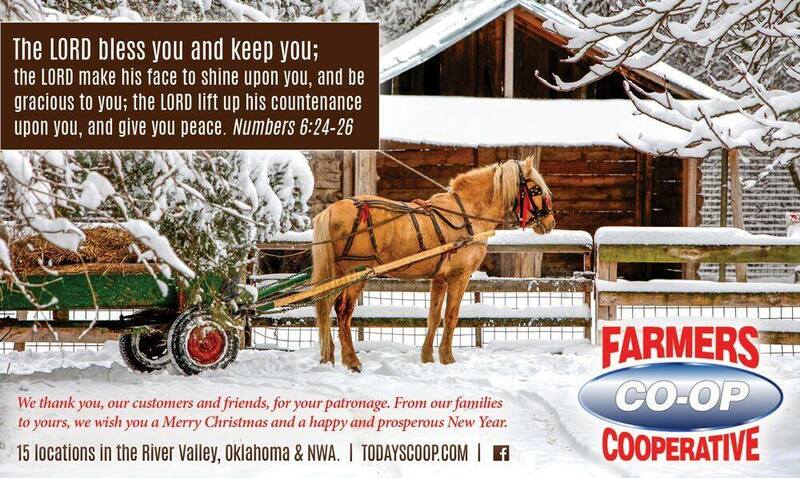 Merry Christmas & Happy New Year from Farmers Coop. Please make note of our holiday hours. 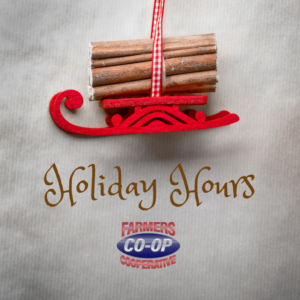 Farmer’s Coop locations will be OPEN on Christmas Eve and New Year’s Eve but will have varied hours. Please check with your local Farmer Coop location for Christmas Eve and New Year’s Eve hours. All locations will be closed on Christmas Day, so our employees can spend the holiday together with family and friends. Merry Christmas & Happy New Year from Farmers Coop. Please make note of our holiday hours. From our families to yours, we wish you a very Merry Christmas and a happy and prosperous New Year. This entry was posted on Sunday, November 11th, 2018 at 9:18 am	and is filed under Events. You can follow any responses to this entry through the RSS 2.0 feed. Both comments and pings are currently closed.